These stylish faux leather suit cases are "suitable" for those who love the classy things. 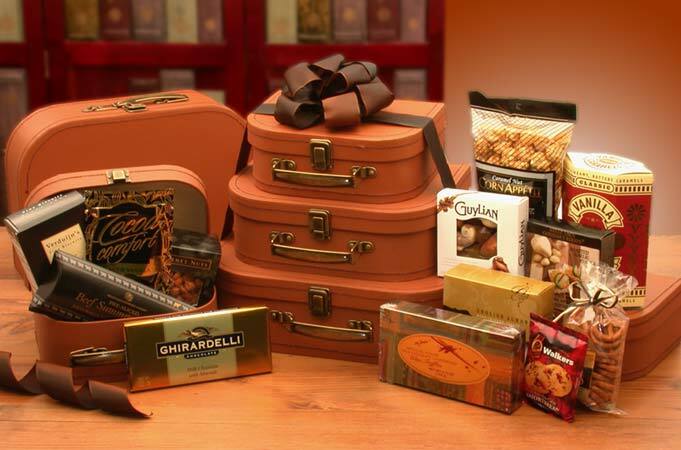 Each suitcase is filled to over-flowing with delicious gourmet foods and snacks, and arrive stacked, and bound with matching ribbon. After the treats are gone, the suitcases also make a practical accessory for any home or office.